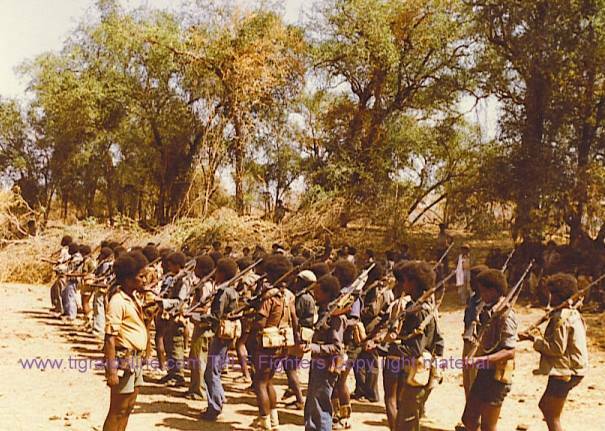 The concern of this short article is to give my objective evaluation and assessment on the disagreement that arose between the two sides who claim to have prepared a film on the Agazi Operation – one of the most splendid military operations of TPLF that attested its military skill and capability. I read the justifications of both sides and tried to cast my own scholarly evaluation on their claims. One group says that they have collected concrete evidence in making the film and they have even gone as far as to Awasa to get a first hand information from General Hayelom Araya, who was in command of the operation - getting it from the horse’s mouth as they call it. This group seems to say their objective is to mirror up what has happened on the ground with no much beautification and ornamentation to the reality. They say they have carefully worked out the film in such a way that it depicts the episode. It is a historical film and thus should be more of a historical record rather than a fictitious and imaginary work. On the other hand, the second group seems to argue that they have produced a film of the Agazi Operation which seems to give more emphasis on the form rather than the content. They seem to base themselves on the 19th century movement of artists- Art for Art’s Sake. According to this movement, art should be free from religious, political and social enslavements and performed for its own sake only. It can be seen, therefore, that there is a room for modification and tampering of the actual episode so that the art itself could be more attractive and amazing to its spectators. This is what the second group seems to ascertain and thus follow. They have gone as far as saying, “I am not doing this to please TPLF; I am doing this out of my pursuit to see an artistic and beautiful film. I do not have to ask TPLF to produce this film”. They have boldly said a lot to prove their total freedom in making up the film. For me this group seems to dwell much on their imagination, but still clinging on the general topic. They want to make some additives of their own to the over all plot of the film because artistic quality and thus form of the film is the hub of their endeavors. Now let me side myself with one and criticize the other. Both schools of thoughts have their own pros and cons. It is difficult to assertively say this is correct and this one incorrect. This is so because to the first one, it is difficult to portray events as they happen under the banner of art. It would not be easy to make a line of demarcation between a history book and a work of art. If it narrates the events raw - as they are without bothering a pin to the artistic features and thus entertainment of the spectators, it would end up as reading a history book. As to the second one, it is difficult to completely divorce art from the social, economic and political realities of a country. Since time immemorial, art has been the tool to reflect the day to day all-round activities of human being. These are mostly historical films and plays. Their motive is to record history and pass them on to the forth coming generation. In most historical films, the original plot (sequence of events), the name of the main characters, the setting (where and when) and the theme are kept in tact and would not be tampered. They are so faithful to the original event and try to show this as it once happened. The actual-like demonstration of events takes the interest of the spectators, and it is not necessary to add make-believe ramifications. So which path to take? The best way that most artists opt for with regard to the place of art is to take a medial position: to take a bit from each thought and bring the two extremes closer. This group, according to my observation, is taking the extreme position and their/his statement with regard to the film they claim they made is loose and needs to be seriously checked in some ways. It is a paradox to see them bothering much on money and profit making while they claim they are making a film on the principle of ART for ART’S SAKE. They seem to give priority to their personal benefit, relegating history as secondary one. The fact that “they do not need to get a permission from TPLF” and would make it on the bases of their imagination again thickens the idea that they are not for true history but a sort of make-believe history that compromises the actual feat. I can not again see the reason for their reluctance to cross check the authenticity of the events with/from their actual makers- individual persons or TPLF as an organization-what I called above getting things from the horse’s mouth. Making money could be the prime objective of the group, as one has assertively put it. But they should also know that the cause that is intended to fill their awaiting pockets with thousands is people’s cause for which thousands of lives were paid. Let me leave to the conscience of the group members as to which “thousands” is dearer and most precious- the former or the latter “thousands”? When wrapped up, I would finally say that the second group that dares to go about the film on its way and does need to get a consultation with the makers of the history, and thus the theme of the film, is wrong and needs to be straightened. They are not going to deal with mundane love or hate, greed or generosity, fidelity or infidelity, falsehood or truth affairs. They are rather to deal with one aspect of an ever dazzling, glamorous history made by the PEOPLE.